About a month ago, the state of New Jersey started taking on players for real money online gambling regulated at the state level. There were some problems when the services were first launched that made it hard for some players to get signed up, but more and more people have been joining each week. There have been more than 100,000 total accounts registered so far, and the rate of new signups is currently somewhere between 17,000 and 20,000 per week. Not only is this an impressive victory for players from New Jersey, but it's also a victory for Americans from all over the country who are in favor of legislation regulating the online gambling industry. One of the big reasons the launch has been such a big success is that marketing for it has been taken very seriously. There have been billboards, television commercials, radio advertisements, news reports and all sorts of other marketing efforts to raise awareness of the new opportunities to gamble on the Internet in a safe, regulated environment with local brands who already operate in New Jersey. There have even been marketing groups spreading the word in live venues such as malls and shopping centers, so it's easy to see that they're putting a lot of effort into this. Something that stands out about New Jersey is that while they aren't the first state to offer some form of online gambling, they are the first state to offer a complete selection of casino games. In Nevada, for example, online poker is what's available. In Delaware, there's a much more limited selection of betting options to choose from. Having such a wide range of games to play with in New Jersey, including online poker, has helped to make the launch a big success. 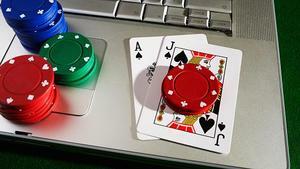 Colorado is looking to follow suit as they try to get their own online gambling legislation underway. It will be interesting to see how much growth New Jersey online gambling has before the signups start to flatten off. This is the biggest boost to gambling that the state has had in several decades, so it's pretty important to the state as a whole since Atlantic City is the second-largest gambling destination inside of the United States and is seen as a key tourist area on the East Coast.